This is the point of the cross on which Christ suffered for everyone, in fact, for the worst of everyone. We need not keep our distance from God because of our imperfections and failures. Christ comes for the lost: the lost coin, lost sheep, lost son, for the adulterous woman. The first time I read the phrase "O happy fault" in the special Easter proclamation, or Exsultet, I pondered about God's love for his people -- from the start of creation, through infidelities, rejections, destruction. God persisted in his love for us. That love is more powerful than anything, including our sinfulness. He will reach us one way or the other. In our deepest sinfulness, he hovers even closer, sending his son in the flesh to bring us back. If Adam's fall made necessary God's ultimate sacrifice of love, well, we can say, "O happy fault." While we may never be worthy of God's love, it's also true that we can never be unworthy of it. This is the point of the cross on which Christ suffered for everyone, in fact, for the worst of everyone. We need not keep our distance from God because of our imperfections and failures. Christ comes for the lost: the lost coin, lost sheep, lost son, for the adulterous woman. I wish my father had comprehended this. Born about a hundred years ago in China and educated as a young boy in a Catholic boarding school away from home, he became a Catholic. I doubt if the catechesis and the environment could really have fostered a deep faith in him. While my father did not practice the faith, he made sure all of his children received the sacraments and were enrolled in Catholic schools. Each Sunday, he would drive us to Mass, but he never went inside the church. The only time I asked why he stayed away, he mentioned that his past decisions and life choices would not be in line with the Catholic Church. He did not try to justify his actions. He assumed that God would not approve of a person like him. The last five years of his life were difficult, and he had regrets. On my father's last ambulance ride, he expressed his remorse to Gaga, a beloved servant who had cared for the family for over 30 years. For those like my father, who think that God has given up on them for their transgressions, they can find solace in the lives of the faithful such as Trappist Father Thomas Merton, Dorothy Day or Father Henri Nouwen. Each came to know and love God deeply, all the more because of their failings. Respectively, one had a child out of wedlock, the other an abortion and the last had pride. To remind us that mercy is the Gospel message, Pope Francis has proclaimed a Holy Year of Mercy, from Dec. 8, 2015, until Nov. 20, 2016. 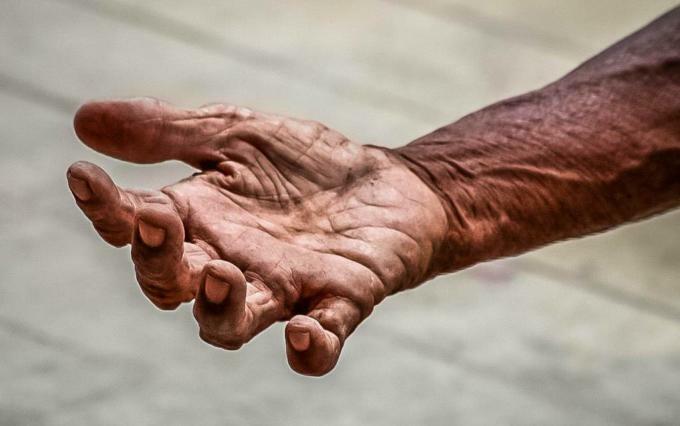 He calls us to do this by "welcoming the repentant prodigal son; healing the wounds of sin with courage and determination; rolling up our sleeves and not standing by and watching passively the suffering of the world." I cheer for this if it brings one person such as my father back to the joy of God's boundless love. CAROLYN Y. 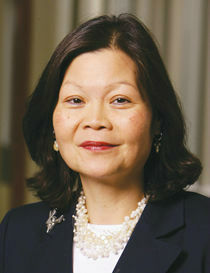 WOO IS PRESIDENT AND CEO OF CATHOLIC RELIEF SERVICES.